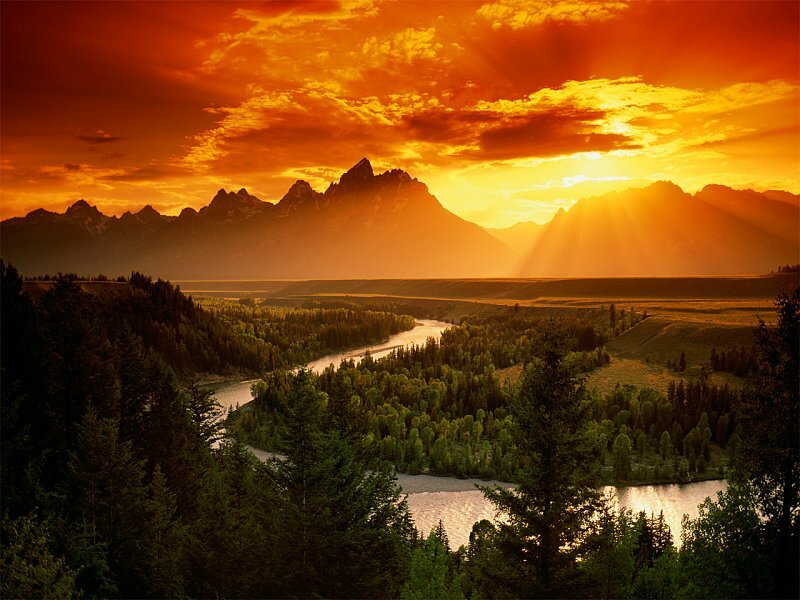 I came across these two photos separately while perusing online galleries and realized they show exactly the same view of the Snake River and the Tetons, one of my favorite places. The color image was done around 1992 by King Wu, who has also done a lot of great work showing Huangshan and Guilin landscapes in China, and the black and white photo is from 1942 by the well-known Ansel Adams. While the colors of Wu's work are impressive, the details in Adams' work is exquisite. I'd like to think if he were still around, Adams would still be using his trusty 4x5 with B&W film. Wow, those are two beautiful pics! 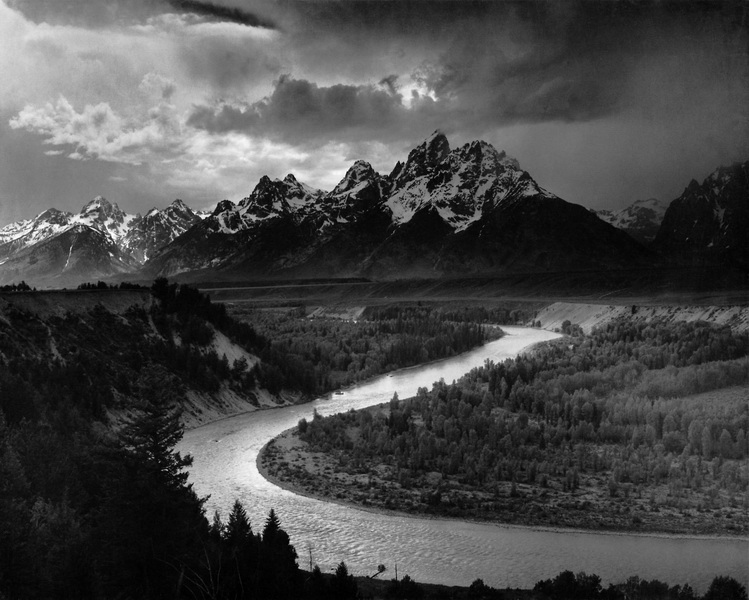 Man, Ansel Adams was a great photographer! Nice find, both are truly unique in their own right...especially since the Wu image still precedes the digital era we are now in...the dichotomy of black/white vs. color is captured perfectly in the comparison...I'm guessing Wu must have wanted to show this, as there's a minute chance he hadn't previously seen Adams's photo and perspective, right? Just beautiful, John. The contrast of the two photos couldn't be more intriguing.